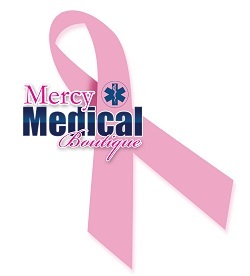 Mercy Medical Supply and Mastectomy Boutique provides a wide array of durable medical equipment, aids, and supplies. From mobility products, ambulatory aids, post-breast surgery products, aids to daily living, and ostomy supplies to compression therapy, incontinence products, maternity supplies, wound care, orthopedic supports and braces, and bathroom safety products. MMS will distinguish itself by providing industry best service. Industry best service will be measured by customer satisfaction. Our experienced staff will help you choose what's right for you from a wide variety of post-surgery kit, breast prosthesis, bras, camisoles and other breast care accessories. Mercy Medical Supply and Mastectomy Boutique is located in the Kroger Shopping Plaza on GA Hwy 138 SE in Stockbridge, Georgia. It would be our pleasure to serve you. Jacqueline Johnson would love for you to stop by and let her show you all the wonderful products that are available for you. Visit or call the boutique at 770-506-9944. To provide service and product that will help restore a sense of confidence, pride and wholeness to the customers we serve. To make Mercy Medical Supply the business of choice for customers through the sales of medical supplies and services to our local and global communities; as well as our local, state, federal and national governments'.